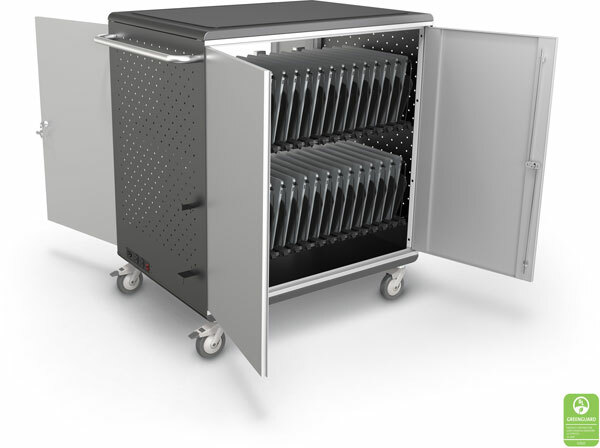 ETL Listed electrical system cylces power between each shelf every 15 minutes to prevent overloading your circuit. Two auxiliary power outlets, on/off switch, and cordwinder on side of cart. 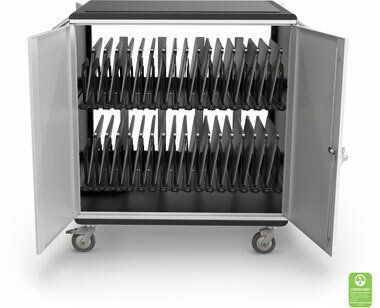 Large 12.5"H x 1.5"W x 17"D slots will fit laptops, Chromebooks, iPads, and tablets with large cases (such as the Otterbox Defender). 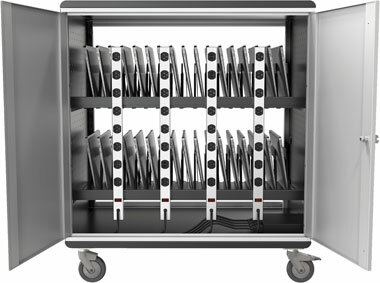 Sliding plastic dividers between tablet slots can be configured for wider devices. Dividers feature cable management clips and wraps.